On Tuesday, Rep. K.L. Brown (R-40th District) filed House Bill 66, the Alabama Medical Marijuana Patients Rights Act. It would allow patients with certain conditions to use marijuana to treat their conditions with a doctor's recommendation. The bill is backed by the Alabama Medical Marijuana Coalition, which held a public meeting in Huntsville last Saturday to garner more awareness on the proposal. The House has passed a bill, HB 2349, which bars registered medical marijuana patients from possessing their medicine on college campuses, including dormitories. The bill, authored by Rep. Amanda Reeve (R-Phoenix), applies to universities, technical colleges, colleges, and public schools. It amends a portion of the state's medical marijuana law that bans the use or possession of medical marijuana at public schools or jails. Last Wednesday, the Studio City Neighborhood Council rejected a "gentle ban" on dispensaries on a 5-4 vote. The vote was on a motion to show support for a law being considered by the Los Angeles City Council that would prohibit all medical marijuana businesses citywide. Last Thursday, Citrus Heights police arrested two people in connection with the operation of a dispensary. Police said the dispensary was "illegal" because the proprietors were profiting from the criminal sale of marijuana. Police also noted that the city of Citrus Heights has a moratorium barring dispensaries within the city limits. Last Tuesday, Riverside police in SWAT gear arrested a dispensary operator who they said used fake information to get a business license after his initial request was refused. Jimmie Sutterfield, the proprietor of Discount Patient Care, was booked on suspicion of filing false documents in a public office, perjury and burglary, all felony charges. In a January 26 letter made public last week, Riverside city officials asked federal prosecutors to enforce the marijuana ban in their city. Riverside City Attorney Greg Priamos and Police Chief Sergio Diaz US Attorney André Birotte Jr., who has jurisdiction over the Inland area, for assistance "in combating the illegal storefront marijuana distribution in the city of Riverside that openly flouts federal, state and local law." Last Friday, a San Diego Superior Court judge ruled that the city can refuse to issue a certain type of business license to medical marijuana distributors. Superior Court Judge Randa Trapp ruled the city cannot be required to take actions that amount to an illegal act. Because federal law takes precedence over state law, Trapp held, "issuing a business tax certificate under these circumstances would tend to aid in an unlawful purpose." The suit had been brought by Wisdom Organics, which had applied for a license to operate a medical marijuana delivery service. Over the weekend, medical marijuana pioneer Dennis Peron said he opposed a medical marijuana initiative that would tax and regulate the industry. The Medical Marijuana Regulation, Control, and Tax Act (MMRCTA) is "too vague," Peron said. He also worried that allowing the UCFW to cosponsor the measure and have a seat on its proposed board would mean "that they can force every one of those entities to join their union and pay them dues." On Monday, the Coalition for a Drug Free California urged people around the state to inform on dispensaries to the IRS in hopes of garnering a hefty reward. On Tuesday, the Lake County Board of Supervisors voted to shut down a Middleton dispensary. The 4-1 vote will finish the process of shutting down the H2C Collective. The county is in the process of using abatement proceedings to shut down dispensaries after public discontent forced it to rescind a regulatory ordinance. The county argues that dispensaries are not allowed under county zoning laws. On Tuesday, the city of Vallejo settled a lawsuit with a former dispensary operator. Stan the Man's Collective was sued by the city in July 2010 as a public nuisance, and fines reaching thousands of dollars had piled up before Stan's closed in October 2010. Under the agreement, Stan's will stay closed, but the fines are dismissed, and no other dispensaries are affected. Also on Tuesday, the Costa Mesa City Council got an earful from unhappy patients and dispensary operators for inviting federal officials to crack down on dispensaries there. Federal authorities cracked down on Costa Mesa dispensaries last month, raiding two of them and issuing warning letters to at least two-dozen others. Also on Tuesday, Santa Ana medical marijuana supporters began a municipal initiative effort to allow dispensaries to operate under certain guidelines, for instance, limiting hours to 9:00am to 9:00pm, forbidding loitering and smoking on the premises, and restricting patients to 21 and older, unless there's a parent or guardian. Proponents said they were responding to complaints from residents. Also on Tuesday, the Sonoma County Board of Supervisors voted to cap the number of dispensaries in unincorporated areas of the county at nine. The county joins three local cities that have allowed dispensaries with caps. There are two outlets in Santa Rosa, one in Cotati and one in Sebastopol. The remaining six cities in the county ban dispensaries. Last Thursday, the Colorado Court of Appeals ruled that people on probation cannot use medical marijuana because it is a violation of federal law. The case is Colorado v. Watkins. Last Friday, a state district court judge in Fort Collins issued a temporary restraining order directing city and state officials to not enforce provisions of voter-approved ban on dispensaries until a hearing can be conducted on a lawsuit challenging its legality. Voters approved the ban in November, but six local businesses filed a lawsuit over it last week. The lawsuit claims the ban violates the state constitution and would irreparably harm their livelihoods. On Tuesday, the Boulder City Council approved a nine-month moratorium on new medical marijuana businesses. The council originally was considering a blanket six-month moratorium, but the leaders decided to extend the length of the ban to nine months and exempt existing businesses so they can make changes -- such as seek an expansion or relocation -- if needed. The exemption will kick in March 8. According to city records, Boulder now has 37 cultivation facilities, 32 dispensaries and six marijuana-infused product manufacturing sites. Twelve applications for new business licenses were submitted before the moratorium was enacted and will be reviewed. City officials said they needed "a time-out." Sen. Perry Clark (D-Louisville) has introduced SB 129, a bill that would allow doctors to prescribe marijuana to patients with debilitating illnesses and reschedule marijuana under state law. There are some technical problems with the language in the bill vis-à-vis federal law, but those issues can be worked out through amendments down the road, supporters say. The bill is known as the Gatewood Galbraith Memorial Medical Marijuana Act, after the late Gatewood Galbraith, a five-time gubernatorial candidate and outspoken proponent of ending marijuana prohibition. A nonprofit that wants to grow and sell medical marijuana was suing after being denied a site in Burlington County. The Compassionate Care Foundation Inc. wants a judge to overturn the decision of the Westhampton Land Development Board, which voted 4-3 against the bid to operate at a vacant warehouse. A hearing is set for March 23. On Tuesday, however, Compassionate Care changed its mind and instead announced an agreement with center and township officials in Egg Harbor Township to open a dispensary there. Compassionate Care, which is based in Mount Laurel, is one of two state-approved providers of medical marijuana struggling to find a home in South Jersey. The other supplier, Compassionate Sciences ATC, was rebuffed in October when it sought to open a marijuana dispensary at a former furniture store on Route 73. New Jersey legalized medical marijuana in January 2010, authorizing six nonprofit groups to operate in distinct zones across the state. But Gov. Chris Christie, citing concerns over federal laws against the drug's sale, did not give his approval until July of last year. So far, no marijuana has been sold legally in New Jersey and at least four town boards have turned away the businesses. But, if the deal goes through, Compassionate Care will become become only the second out of six centers with confirmed locations. Greenleaf Compassion Center in Montclair got local approval and finalized its plans back in September, becoming the first center to do so. Late last month, Senator Cisco McSorley (D) introduced and Senator Rod Adair (R), Senator Gerald Ortiz y Pino (D), and Senator John Ryan (R) cosponsored Senate Bill 240, which would create a medical marijuana fund. sustained by the producer and patient production licensing fees currently being collected by the Department of Health. The Department of Health will be able to use these funds to directly administer the program. The bill is currently before the Senate Finance Committee. Last Thursday, a bill calling on the federal government to reschedule marijuana passed a Senate committee. Senate Joint Memorial 8017 bolsters support for Gov. Christine Gregoire (D), who sent a letter last week requesting that the federal government reclassify marijuana from a Schedule I drug to Schedule II status, where it would be permitted for medical use. The bill passed the Senate Committee on Health and Long Term Care with unanimous approval. It now heads to the Senate Rules Committee. Its lead sponsor is Sen. Jeanne Kohl-Welles (D-Seattle). Please add HB25 sponsored by Rep. Todd of Birmingham to the list of medical marijuana bills filed in The Alabama House. Please post and eveyone in MS call your Senator and spread the word! Support HB 2252 for Medical Marijuana in Mississippi. It's time for a change in MS!!!!!! For the fourth year in a row, Senator Deborah Dawkins of Pass Christian is submitting another proposal in an effort to legalize the use of medical marijuana in Mississippi. According to the National Institute on Drug Abuse, Marijuana is the most commonly abused illicit drug in the United States. On the flip side, experts say when used for medicinal purposes, the often frowned upon substance can be quite useful. That's why Senator Deborah Dawkins is working hard to legalize its medical use in our state. "I think most people want their doctors to help them make their own decisions. And to me, we're taking something away from the patients and their physicians," Dawkins said. A number of studies have shown that some attributes of the cannabis plant can relieve pain, control nausea, and help with a long list of other ailments. 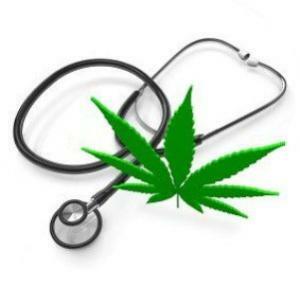 As of now, 16 states and the District of Columbia have already legalized the use of medical marijuana. Dawkins wants Mississippi added to that list, especially since a lab at the University of Mississippi is already involved. The lab serves as the federal government's marijuana repository, growing the plant for research facilities across the country. "It's something that seems very unfair. That we in Mississippi provide this medicine, that's what it is, medicine, for people in other states and not in our very own," Dawkins said. am doing a research for school on the legalization of marijuana any subjection?